Specializing in Custom Sundecks for Beautiful BC. As one of the leading vinyl decking companies in the Greater Vancouver area, we specialize in commercial and residential retro projects as well as multi family construction throughout the Lower Mainland. Our management team brings over 65 years of combined experience to every project. With up to 10 experienced crews working at any one time, we are able to maintain a quick turnaround without compromising on quality. We are an authorized Tufdek dealer and proudly install Tufdek vinyl decking on roof decks, sundecks, patios, and balconies for townhomes, apartments, and houses in either new construction or renovation. The Tufdek waterproof vinyl decking is a factory manufactured vinyl membrane flooring on a roll that comes in a number of unique colors and design options including various wood plank and aggregate concrete patterns. Tufdek membranes are designed to match a wide variety of outdoor décors. Once the vinyl membrane flooring is positioned, our installers thermally weld the vinyl to create a beautiful, 100% waterproof deck. Designed to handle a wide range of pedestrian traffic with low maintenance, Tufdek vinyl decking is backed by Tuff Industries’ comprehensive product warranty. We have completed Tufdek’s comprehensive factory training and installation program to ensure that each and every project is completed to the highest standard. We are also a member of good standing with the Better Business Bureau. No matter how big or small your next decking project, we’d be happy to provide a free vinyl decking quote. 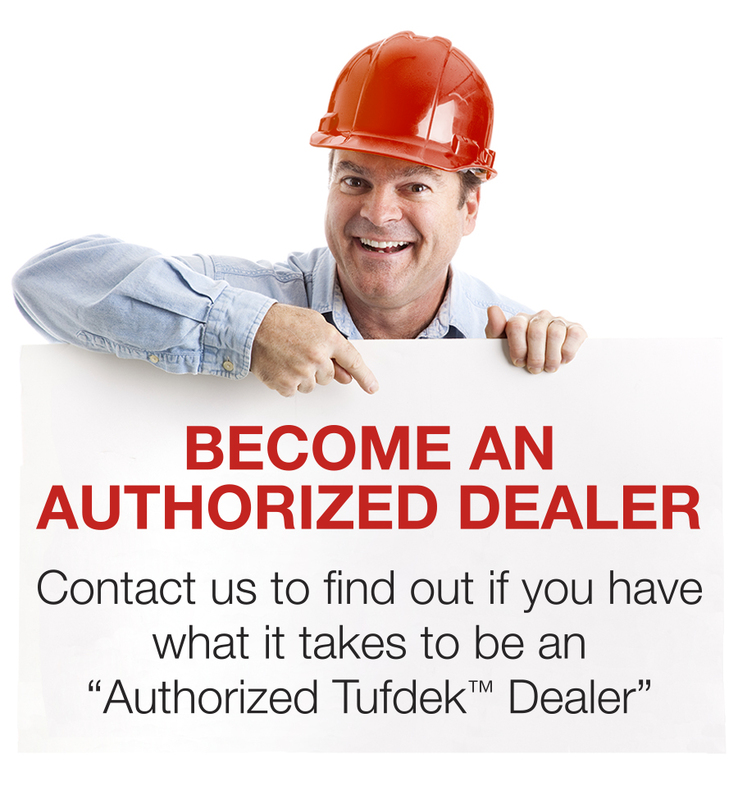 To learn more about waterproofing sundecks with Tufdek vinyl decking membranes or for more information about our Delta deck company, an authorized Tufdek™ dealer, please call our Tufdek office toll free at 1-877-860-9333 or complete the following online contact form.